You’re the type of girl that knows what you want: So let’s start dropping some hints to get things rolling! 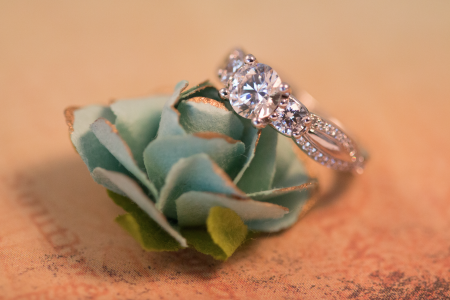 If you don’t already have one, start a Pinterest Page of rings that you like. Go crazy with styles, designs, and diamonds. The inspiration will help you decide what you like. As for a hint? Clearly label a bookmark in your browser as “Pinterest:Engagement Ring”. It may pop up if you and your beau are Googling around. You don’t have to go crazy with social media to get a few hints across. Maybe share a great Facebook post of a ring you like once a month, or start faving some sparkly ring accounts on Instagram. Try not go overboard with the ‘marry me’ memes, but a few likes wouldn’t hurt. If he’s read up on how to choose a ring, he’ll probably be going to your friends and family with ring questions. Your girls know what’s important, so bring them up to speed on your ring size and carat requirements. 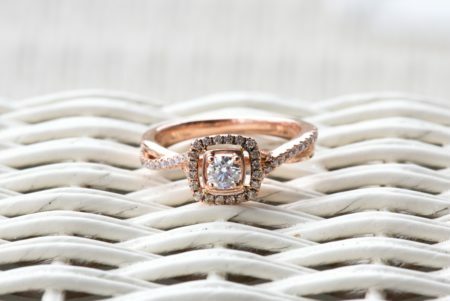 Make sure your sister knows that you look best in rose gold, and that your roommate can tell the difference between princess cut and emerald cut. If you’ve got some pieces that you adore, or love the style of, wear them more often so he can get a look at what you like. If you’ve got a favorite jeweler, or a store you know you love, bring it up casually in conversation. Like the store online, or maybe write a review. If he’s got directions, he’s got a path to your ring.